Active adult communities are becoming popular in Northern Arizona because of its distinction from the rest of the state, specifically Southern Arizona. 55+ adult communities enjoy resort-style amenities in a comfortable environment. There are even non age-restricted communities that cater to the needs of today s active adult homebuyer with clubhouses, outdoor pools, and sports courts. Northern Arizona is home to many popular attractions that include recreation, history, and culture. The lifestyle in Northern Arizona is one where outdoor activity and relaxation are perfectly balanced. It s rich with forests, colorful canyons, and has a temperate climate with four seasons. Outdoor adventurers enjoy this region for year-round golf and scenic recreation activities. Northern Arizona s geography is noticeably different than that of the rest of the state. The Colorado Plateau encompasses most of the northern half of Arizona. It s not commonly known that this part of the state contains pine-covered high country. The Grand Canyon, one of the seven natural wonders of the world, runs through Northern Arizona. Due to its higher altitude, Northern Arizona is noticeably cooler than the rest of the state. Northern Arizona is a popular summer destination for Arizona s residents looking for relief from the hot southern sun. Active adult communities in Northern Arizona enjoy mild summers and cool winters. 55+ communities in Northern Arizona enjoy living near many popular destinations. 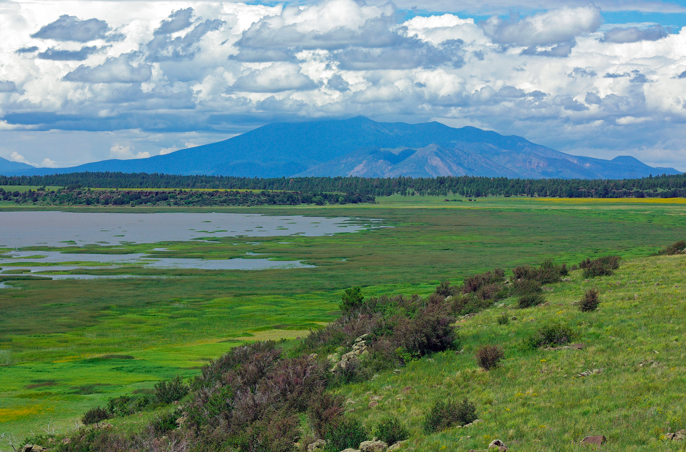 Flagstaff offers year-round recreation with four seasons and cultural diversity. It is home to the world s largest ponderosa pine forest and is situated near seven national parks and monuments as well the famous Route 66. Monument Valley Navajo Tribal Park is one of the most photographed landmarks in the United States and located four hours north of Flagstaff near the Four Corners area. This part of Northern Arizona if filled with history, guided tours, and Navajo cuisine. Water sports, fishing, kayaking, houseboating, and camping are all accessible through Lake Powell in Page, Arizona. It s the second largest man-made lake in the United States is the gateway to beautiful views. Farther along Route 66, Williams is a friendly town with RV parks and welcoming B&Bs. This historic old town is full of unique shops, galleries and entertainment. Active adult communities in Prescott enjoy living close to areas rich with history of the Wild West. It s home to museums, art galleries, antique shops, eateries, and golf courses. With four small lakes boating, fishing, and nature watching are always great options to enjoy the area. Other popular destinations in Northern Arizona include the Globe-Miami area, Sedona, Payson, and Jerome. Northern Arizona has an affordable cost of living compared to the rest of the United States. The cost of living for the entire state of Arizona is also slightly lower than the national average. There is no taxation on Social Security benefits and there are some exemptions on retirement income. Property taxes are access locally, not at the state level, and personal income taxes are collected in five brackets: 2.87%, 3.20%, 3.74%, 4.72%, and 5.04%. Flagstaff Medical Center (FMC) provides quality healthcare services to residents of Northern Arizona. It is ranked among the nation s best regional hospitals and the best hospital in Northern Arizona. It has been recognized with the Gold Quality Achievement Award from the American Heart Association for their commitment to treating heart failure patients. Yavapai Regional Medical Center and VA Northern Arizona Healthcare System are both local medical centers in Prescott.